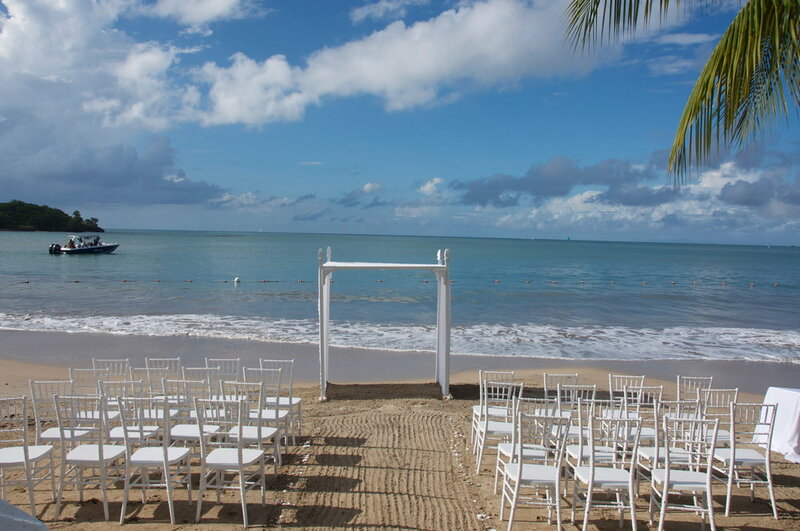 Sandals Halcyon, for couples only, is 5 minutes from Castries, the capital of St Lucia. Sandals Halcyon, with 169 rooms, is a boutique style resort where one-on-one relationships often develop between employees and guests. The resort is small and intimate with an amazing seafood restaurant on a pier over the water. You will also be able to participate in the "stay at one and play at three" exchange with Sandals St. Lucian Grande and Sandals La Toc. Why not add 18 restaurants and a 9 hold golf course with no green fees to your visit? If you have been to Sandals Halcyon, some of the newest enhancements are the newly renovated rooms, swim-up suites, and fitness center. The newly redesigned Kelly's Dockside takes dining over the water to a new level! This is an authentic Caribbean resort.